Colin Vaines has had an incredible career in film, encompassing five decades. 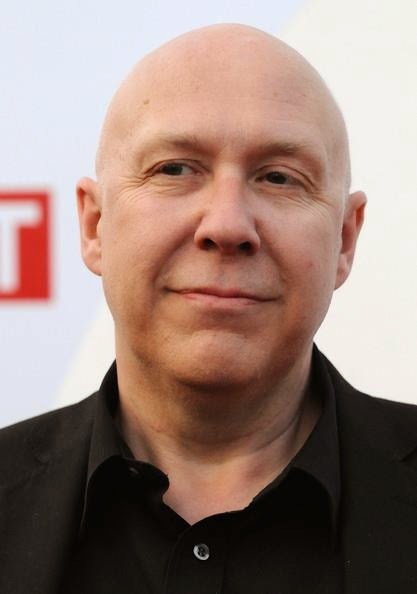 Beginning his career as a journalist, he transitioned into running the National Film Development Fund in the UK, being a consultant for British Screen, and developing and producing films for Harvey Weinstein, Graham King and David Puttnam, before becoming an independent producer. In part two of our interview we talk about making MISS POTTER (2006), THE YOUNG VICTORIA (2009), MY WEEK WITH MARILYN (2011), his mentoring of THE GUARD (2011) director John Michael McDonagh, working with Weinstein, King and Puttnam, his views on the current state of the film industry and his hopes for the future. How do you deal with the projects that have disappointed you? There are a couple of films that I've been involved in that I haven't actually watched. I'm not going to say what they are. You just have to live with disappointment. Other producers, like Puttnam, also have their little collections of films like that. As ever, the ones that don't work or are disappointing to you for whatever reason, are nine times out of ten the experiences that you learn the most from. 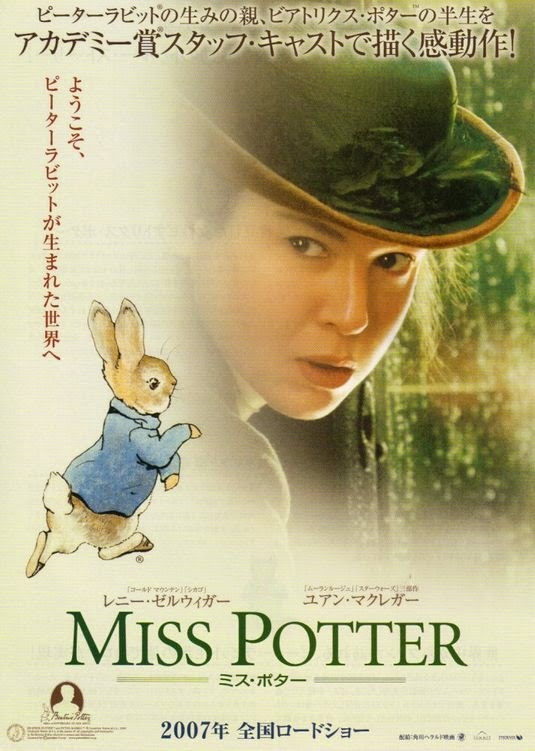 Can you talk about your experience making MISS POTTER? MISS POTTER was a classic Harvey acquisition, in that we bought the film but didn't see a cut until they had finished shooting. It was clear it needed a lot of work, and I have to say, to blow my own trumpet, that working on a film in post has always been an area in which I've excelled (I blush to say that, but it is true!). Chris Noonan and the producers were great in taking on board some really substantial changes, including creating an almost entirely new third act - in particular, David Thwaites, who is now working closely with Harvey on a number of projects, is an outstanding creative producer who wants to get things right. He was brilliant in post. It's a shame that most films simply can't afford to do what happened on a fairly regular basis at Miramax and The Weinstein Co (and which is par for the course for most high-budget films - to go back in and not only do some recutting, but also additional shooting to clarify things, or improve character development, or make the film simply more emotionally engaging. A similar thing happened on THE YOUNG VICTORIA, when I was working with Graham King. Jean-Marc Vallee, who has been doing some amazing work in the last couple of years with DALLAS BUYERS CLUB (2013) and WILD (2014), and the writer, Julian Fellowes, really threw themselves into a major additional shoot that made the resulting film so much stronger, improving the love story out of recognition and helping anchor the film strongly around Emily Blunt's performance. As the old saying goes, a film is developed, made on the floor, and then made again in the cutting room, and it's truly a blessing when there is enough money in the budget of a film to allow for pick ups and even fresh sequences to be shot after you've had the chance to review the initial cut. How was the experience of making MY WEEK WITH MARILYN? Working on MY WEEK WITH MARILYN was a fairly surreal experience - we shot on the same stage on which they shot THE PRINCE AND THE SHOWGIRL (1957). 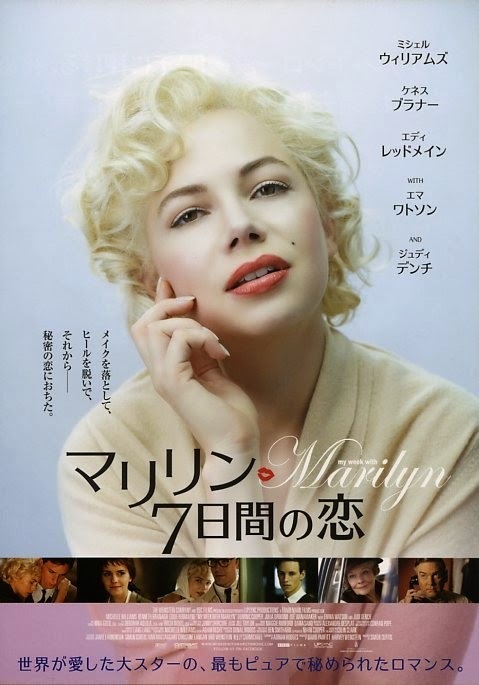 Michelle Williams' dressing room was actually Marilyn's while she was shooting the film, and once Ken Branagh was fitted out with his prosthetic chin dimple, he looked so much like Olivier in the original that it was thought the great man had actually stepped off the set each time! Ken loved working with Simon Curtis, and paid him the supreme compliment (as a fellow director) of writing him a fan email at the end of the shoot! My one great memory of the shoot will be the day I visited Rob Marshall, a friend from the days of shooting CHICAGO (2002) at Miramax, on the set of PIRATES OF THE CARIBBEAN (2003) which was on an adjoining sound stage at Pinewood. I went on the stage expecting to hear great stories of their shoot, but ended up surrounded by Rob, Jerry Bruckheimer, Ian McShane and Johnny Depp all wanting to know what it was like to be shooting on the same stage THE PRINCE AND THE SHOWGIRL had filmed on! Can you explain your 'thanks' credit on THE GUARD? I "discovered" John Michael McDonagh when I was doing my screenwriting programme, PAL. He had a script called 'Harpers Ferry, 4am' about the abolitionist John Brown, which I thought was the most cinematic thing I'd ever read out of the UK. A mutual friend, Neil Richards, forwarded it to me. I was so impressed that I got John European Script Fund money to write something for me, which was a script about the turn of last century anarchists The Bonnot Gang. He then had a long series of disappointments, with scripts he wrote for others never getting off the ground, or when they did, like NED KELLY (2003), being poorly rewritten by the director. 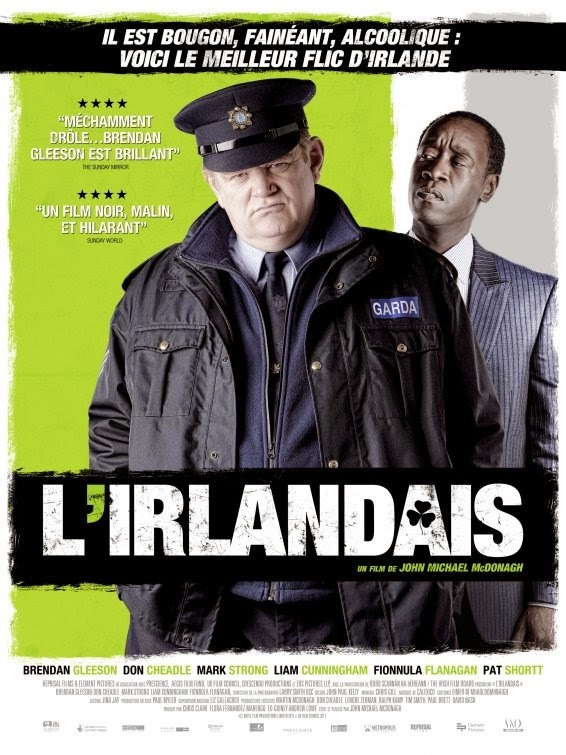 Through it all, a young producer called Chris Clarke stuck by him, and eventually they got THE GUARD made (and went on to make CALVARY, 2014, and have a third film in prep). John very kindly gave me a thanks on THE GUARD for recognising his potential - and also because I think I laughed like a lunatic all the way through the first, longer cut of the film at a time when practially everyone around him other than Chris was saying it wasn't working! You've worked with producers like David Puttnam, Harvey Weinstein and Graham King. What qualities do you believe they all share? They all have absolute conviction about what they're doing, and real integrity. They're very committed to their ideas and to the talent they're working with. But if something feels off, they'll jump on it. They don't suffer fools gladly. They're very clear about what they're going to do. They also have a great knowledge in all areas, so they're able to talk about things in an informed way. They're not operating out of fear. If you work with producers or directors who start projects off living in a state of fear and consumed with their own ego, you're going to get into trouble quickly. I've realised I can't work with people who are worried about how whether you know more than them. I am very hands-on and collaborative. If I'm not able to be involved then you shouldn't be working with me. What are your thoughts on the current state of the film industry? I'm dissatisfied at the current time with the stuff that gets made, and how difficult it is to get the things that I think are interesting financed. I'm very lucky that I've been able to work with producers like Harvey Weinstein and Graham King who have enabled me to work on interesting projects that are challenging to people. I hope I've been able to continue in that vein in my independent career. I think we live in a fear-based climate at the moment where decisions are often made on what has gone before and the hope people will like to see it again. That's the worst reason to make a film. You're just constantly looking over your shoulder, second guessing someone else. The great old school moguls like Harry Cohn made films they wanted to make, rather than something research suggested they should make. Even if he didn't entirely appreciate the artier projects like FROM HERE TO ETERNITY (1953), Cohn could still see the talent of Fred Zinnemann, appreciate that it was from an award-winning book and that it was something that should be made. He made decisions from his gut. The minute you're second guessing your choices, you're in trouble. Do you feel the quality of scripts is deteriorating? In big films, I think the quality in general is appalling. There was a comic book movie that was massively successful not so long ago which had so many plot holes in it and even had two scenes where the villain caught the hero only to leave him so he could escape. Surely you can't have scenes like that anymore?! I'm a creature of the old school and my heroes are people like Billy Wilder. We do get good films during Oscar season, like ARGO or TRUE GRIT (both 2012), which to me were shining examples of what we ought to have on a regular basis, but there's just so much drek out there. Do you feel it is all bad? Well, there's always going to be decent films made with one eye on the festivals and Oscar season. And if someone has an interesting, original idea, it has never been easier to make a film because anyone can now pick up a digital camera and make a ninety-minute film. However, the problem is that you can't sustain an industry like that, and certainly as a producer, where you've got to earn a living somehow or other, there is a limit to how many $90, 000 films you can make if your fee is likely to be only a few thousand dollars. How do you feel about the size of budgets on big films? I've seen so much waste on films and really been horrified. Every project I work on I look at it in terms of ''Is there a unique selling point to this film?'' or ''Is there something that will be of interest to people, beyond me?''. And then I consider what the film should be made for. On a film like CORIOLANUS (2011) the budget was initially way too high for what it was. It had to come down by more than half because that was the only possible way you could make it. I am very proud that we could make it for the budget we ended up agreeing on, and achieve what we did. How has the landscape of film production changed since the '70s? The pressure to produce a handful of expensive films that rely on things people think they know audience will want has become overwhelming. If you look at how many original films were made in the '70s, even if the likes of WHAT'S UP, DOC? (1972) were referring back to screwball comedies of the '40s, they still felt original in their own right. If you're in a landscape where the great majority of people who are in the positions of financial power only want to make a title because it has been made before, or it's a sequel to something that's already been successful, or is based on a comic book, that's fine ... as long as there are also many original pieces being made alongside them. But that's not happening enough. The most daring stuff is being done on television. 'Breaking Bad' could never have been made as a movie. It wouldn't have gotten past the first pitch. Do you feel it's important to keep your feet in the British film industry? I have to be a 100% honest and say that it never enters my mind. I'm just interested in making interesting films. I'm doing something with Barbara Broccoli that takes place in the UK and US, and is a wonderful, unusual May/December love story. I'm working on another film with the brilliant artist Shirin Neshat about a great Egyptian singer, which we're going to make in Arabic. It's going to be financed with a mixture of Middle Eastern, French, German and Italian money. There's not going to be a penny of English money in it. But she's a brilliant filmmaker. She made the film WOMEN WITHOUT MEN (2009) that won the Silver Lion at Venice a few years ago. The subject matter of the new project is so powerful and relevant to today, even though it's about a woman who died in 1975. It speaks volumes about what's happening in the Middle East at the moment. The politics are fantastically interesting, but what I care about is the character and this extraordinary woman's story. Those are always the fundamental things for me - do I find the characters strong, and is the story emotionally engaging? 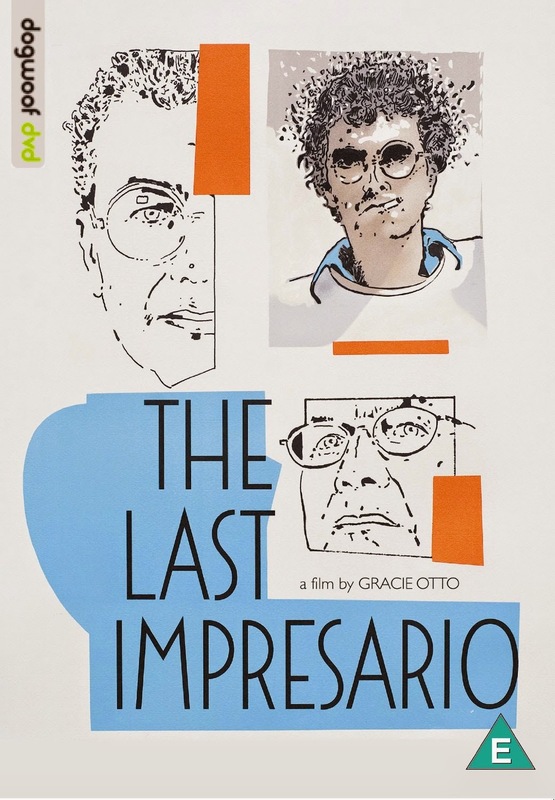 Can you talk about the new documentary you appear in, THE LAST IMPRESARIO (2013)? 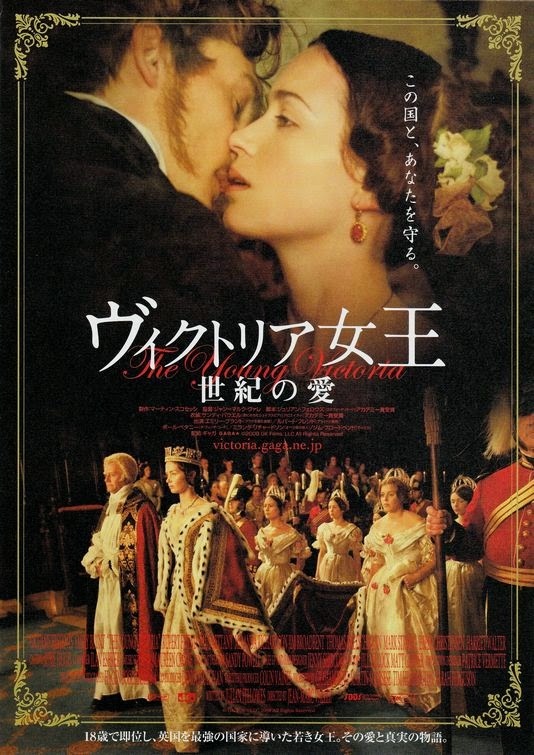 The film is a documentary portrait of the great British producer Michael White. A mutual friend introduced me to the director, Gracie Otto, and I was, to be honest, honoured to be asked to be in it. When I started as a young journalist at Screen, I remember meeting Michael, discovering his amazing track record in theatre and film with stuff like THE ROCKY HORROR PICTURE SHOW (1975) and MONTY PYTHON AND THE HOLY GRAIL (1975), and then watching in amazement at the way he led his life as the ultimate party animal. "I'm having what he's having" was pretty much my thought at the time - the man was a huge inspiration and a truly great producer who has been somewhat sidelined and neglected over the years. As I get older, the urge to say thank you and pay my respects to people who've done great stuff in this business just grows and grows. I will be eternally grateful for being at Cannes the year of THE KING OF COMEDY (1983) and being able to go over to an elderly man, wearing a heavy woollen three piece suit in the sweltering heat, and say "You're Michael Powell, and you're the reason I'm here". He teared up and so did I! What would you consider to be your career goal? I spoke to Colin by phone on 28th August 2013 and via email during October 2014, and I would like to thank him for his time. Thanks to Ricky Barnett at IIWYK.